So often, getting started with a marketing plan is a mystery. Where do you start? How do you establish a budget, then, whatâ€™s the best way to spend it? It boils down to this, if the only customer contact you have is when you make your sales pitch or send the invoice, youâ€™re not doing enough. Most of us have a far more complicated target audience that consists of some mixture of state and local governments, property management firms, developers, homeowners and so on. Many contractors are business-to-business, as well as business-to-consumer. Is it possible to communicate with all these audiences with the same message? Or do different segments require different approaches? You know what? This is deteriorating into an endless list of questions that need answers. And when that happens, you have a research project on your hands. They call it market research and it is a huge industry of experts and consultants and expensive firms that specialize in digging out strategic, actionable data you can use to craft your efforts in the most efficient way. They can be expensive to use, however. Fortunately, the asphalt business has a handful of highly focused consultants who can provide affordable assistance to smaller paving companies. 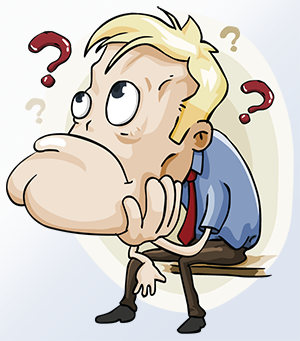 Still, where do you start to get answers to your questions about your market? A good, old-fashioned SWOT analysis is a tried and true method to organize your research. 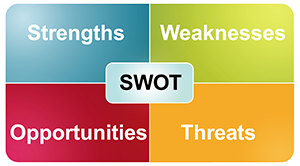 Strengths, Weaknesses, Opportunities and Threats â€“ thatâ€™s what you uncover in a SWOT analysis. â€¢ What do you see as the Strengths of your company? â€¢ What do you see as the Weaknesses of your company? â€¢ What do you see as the Opportunities for your company? â€¢ What do you see as the Threats to your companyâ€™s growth? Then, turn it around, and ask what they see as the strengths and weaknesses of your company. A SWOT is actually a conversation starter. The questions are designed to get you and your customer to take a step back from the day-to-day focus and look at a bigger picture. How am I doing? How are you doing? Can we uncover and explore possible points of intersection between our two organizations? A big key to success in a SWOT analysis is that you talk to a variety of people. One of the richest goldmines for strategic information may well come from your â€œformer customersâ€ file. Why did they stop using you? That would be great to know! Your list of prospective customers is a great place to explore. Why donâ€™t they use you? Call and ask them! Another trigger for success in the SWOT research is that it really is an exploratory, information gathering exercise. It is not a sales call. If you make your SWOT calls into sales calls, you wonâ€™t get good feedback â€“ youâ€™ll wind up getting the old, classic dodgesâ€¦ â€œUh, we donâ€™t really have anything in our budget for thatâ€¦â€ and similar chestnuts. Donâ€™t go there. Just have an exploratory conversation. Establish an atmosphere of trust that encourages your person to be honest. If they donâ€™t use you, find out why. Ask for the reasons they use your competitor. And never leave it at, â€œTheir prices are lower.â€ Thatâ€™s a dodge. Find out what they really like about the other guy. While youâ€™ll gather your best insights from your prospects and former customers, be sure to call some of your current customers as well. Find out why they use you, why they continue to use you. Take good notes as you talk, because the best conversations weave and wobble. You may hear an anecdote about a particularly good â€“ or bad â€“ customer service issue. You might pick up some good ideas about what your competitors do to set themselves apart and get the business. â€¢ Donâ€™t start by calling your best customer or the biggest client in town that doesnâ€™t use you. Instead, start with more distant, less crucial calls to rehearse your approach and get comfortable with this type of conversation. Because your initial instinct will be to make it into a sales call and it takes practice to edit that sales push out of your mindset. â€¢ Find a time to talk when your person is relaxed and has the time. You wonâ€™t get good results with an ambush call. In many cases, your first call might be to ask the person when would be a good time talk, and call back at a convenient time. â€¢ Listen as hard as you can. Ask follow-up questions. When a person says something like â€“ â€œWeâ€™ve learned the hard way that we have to work with somebody who owns all the equipment necessary to do the whole job.â€ â€“ dig in! â€œWhy? What do you mean, â€˜the hard wayâ€™? What happened?â€ Donâ€™t just make a note, â€œmust own all equipmentâ€¦â€ All the good stuff you are after is behind the scenes. Follow those threads! And again, this can take a little practice. A thoughtful SWOT analysis can help you immensely to focus your marketing efforts. You can spend as much â€“ or as little â€“ time making as many calls as you want. You can make one call each day, or one each week. If you do it right, you will get valuable guidance about where your marketing should go.